ZYMAK Electronics, দোকান নং: B-17/B ,দ্বিতীয় তলা , লাটিমী শপিং মল, Science Lab, Dhanmondi, Dhaka. Android TV Box or Smart TV box can turn your normal tv to an Android Smart TV. 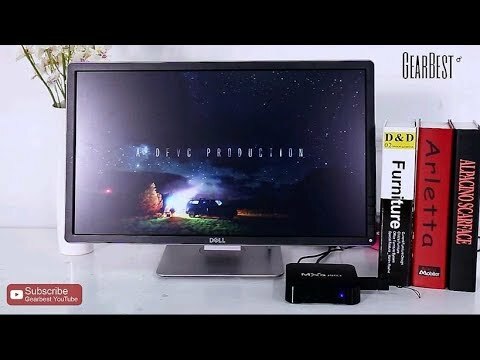 Just connect the MXQ PRO 4k TV Box to your TV using HDMI cable or AV Cable. 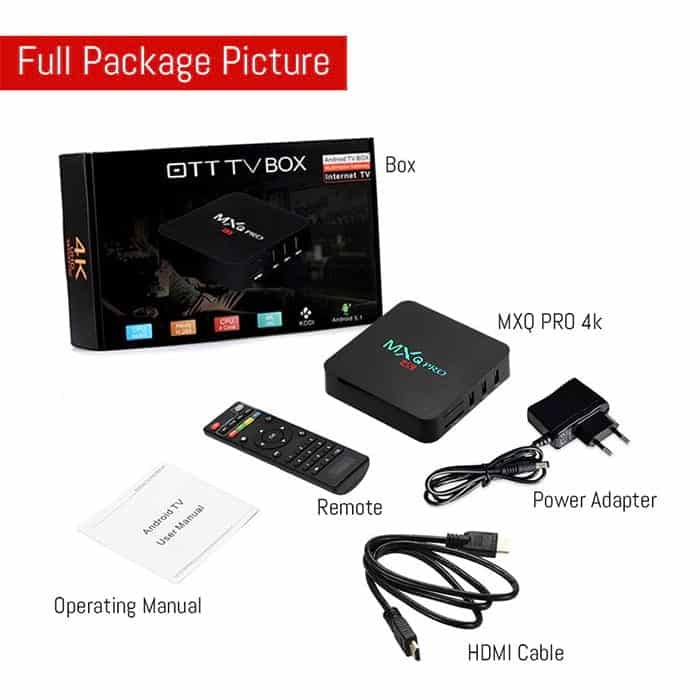 After connecting the MXQ PRO 4k TV Box to your TV , you will get ANDROID Operating System in your TV. Then you watch youtube, surf the internet, install apps from google play, enjoy video chatting, play games and many more directly in your TV. It has all the functions of an Android Smartphone/Tablet. •Access over 1 million Apps instantly from Google Play Store. ■ We have all android TV Box Models. MXQ, MXQ 4K, MXQ PRO 4K, X96, T95X, T95M, M8S, Xiaomi MI Box 3, Xiaomi TV Box, Minix ,Pendoo, Ziddo and many more. 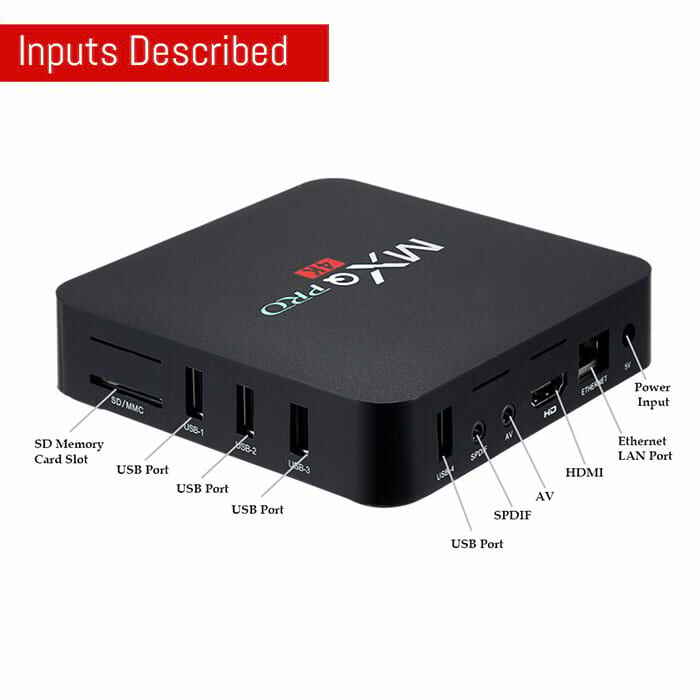 To see all our Android TV box, Smart TV Box, Android TV Card, Smart TV Stick/Dongle, Android Mini PC, Price in Bangladesh(BD), please go to the link below:http://www.zymakelectronics.com/android-smart-tv-box-price-in-bangladesh. We also have Smart TV ,Android TV, Sony Smart TV, Samsung Smart TV, Walton TV, My One TV and many more. • Can convert any TV to an Android Smart TV. Also support monitors and projectors. 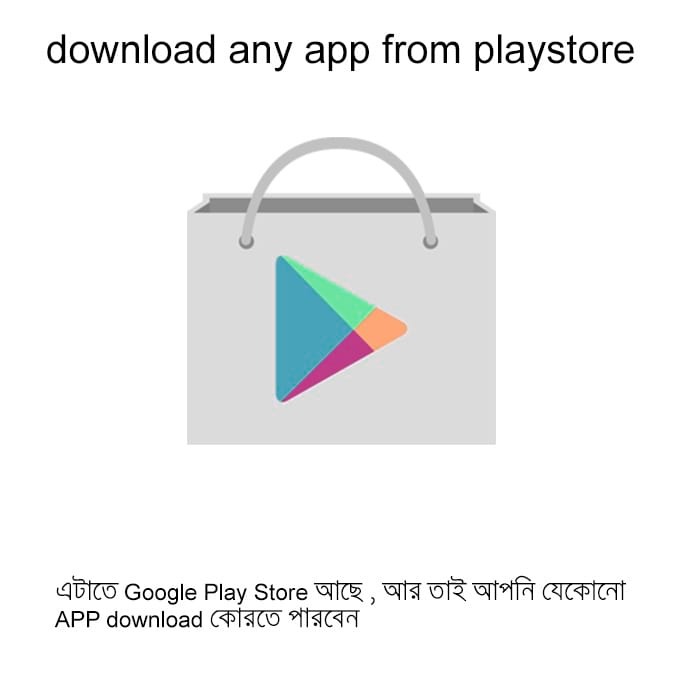 • You can install any games/apps from Google Play Store. 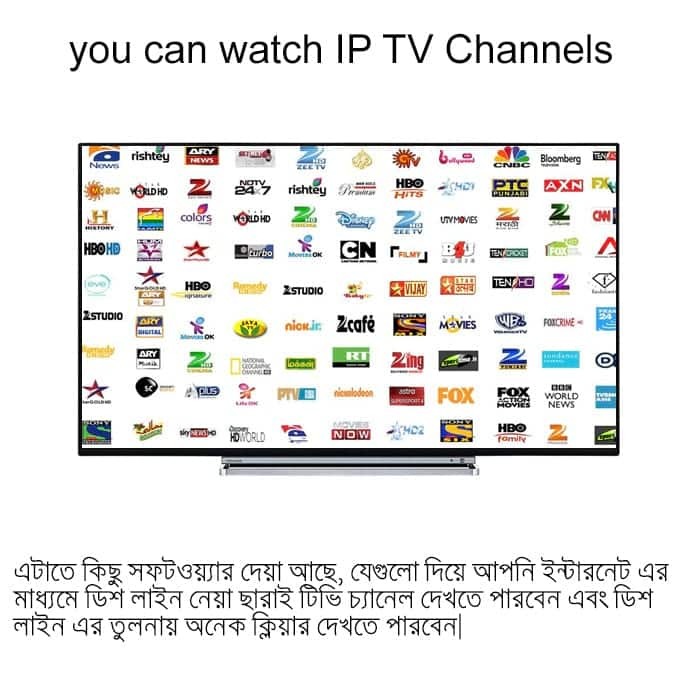 • You can Watch IP TV Channels for free via internet connectivity. • Supports all kinds of mouse and keyboard. 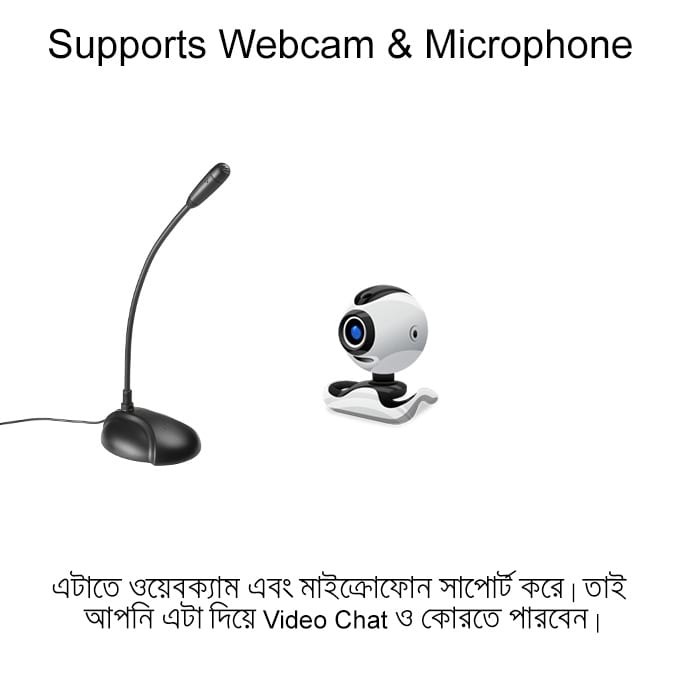 • Supports webcam and microphone. 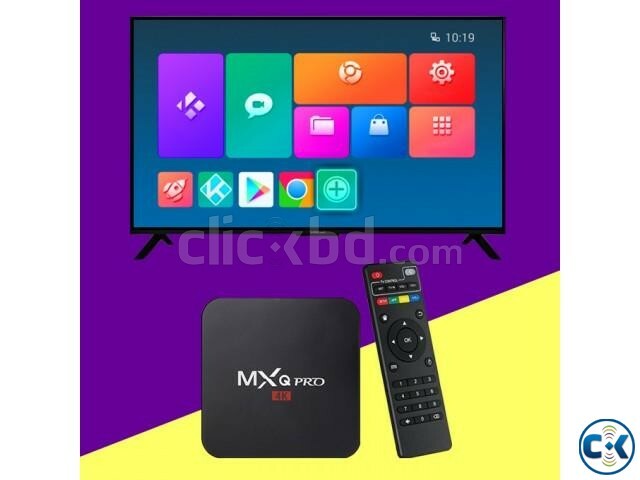 MXQ PRO 4K Android TV Box is a very popular android tv box in Bangladesh. This android TV box offers a lot more than its price. This android tv box costs less than 30$ but it has many latest features. It has 64 bit Amlogic S905 Quad Core Processor, Android 7.1 Nougat Operating System, 1GB DDR 3 RAM and 8GB ROM. What is an Android TV Box ? An Android TV Box is also known as Smart TV Box or Android TV Card. Android TV Box lets you transform your TV to an Android Smart Television. 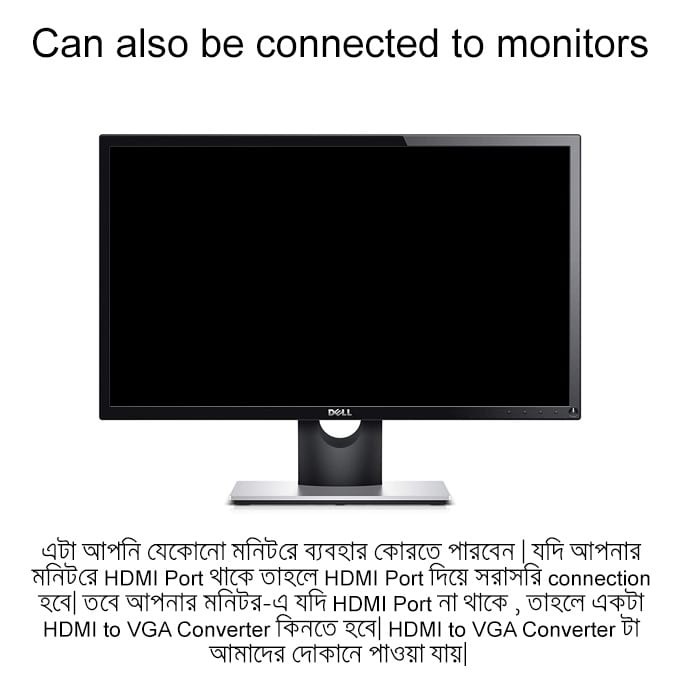 It can be used in any television , monitor and projector. Android Smart TV Box has functions similar to an android smartphone. Android TV Box has google play store and so you can download any app , game or software. You can also watch / stream online movies, episodes and so it can also be used as a streaming media player. You can use facebook, browse the internet, watch youtube, netflix, kodi any many more. Android Smart TV Box has Wi-Fi , Ethernet and also supports 3g/4g modem. Some android tv boxes also have Bluetooth. 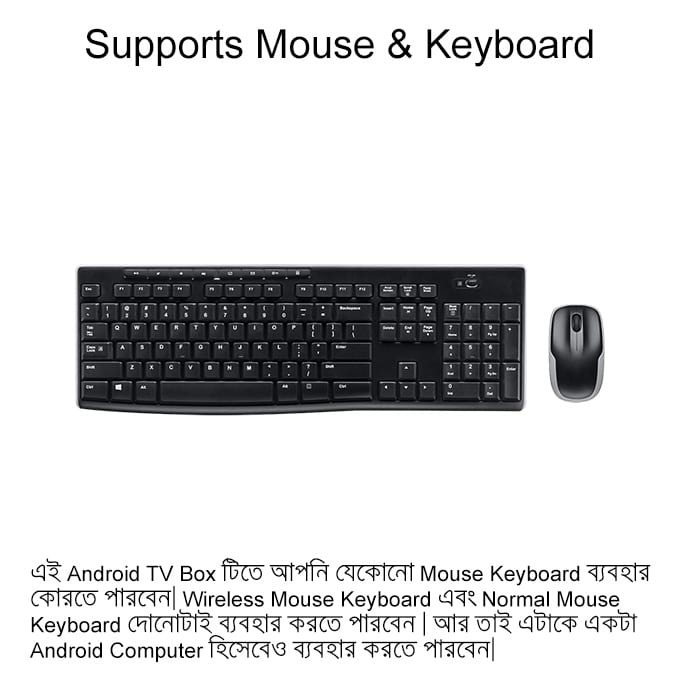 All android tv boxes support mouse keyboard and can also be used as android mini pc. These android smart tv boxes also support webcam and so you can use these for video chatting on whatsapp, viber, facebook messenger, imo and many more. Another new feature that has been added to the android tv boxes is, the IP TV software, now you can also watch IP TV Channels for free. So it is not just an android smart tv box but also an IP TV Box. 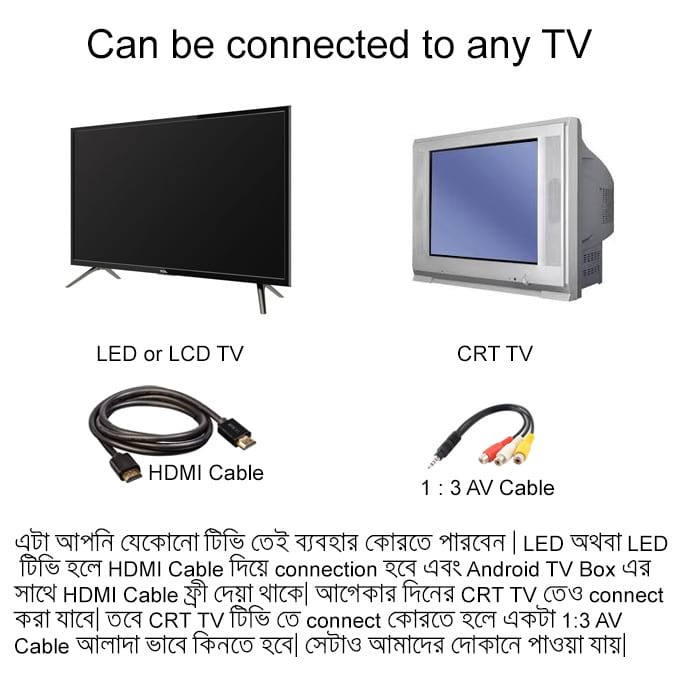 Android TV Box কি ?